RoomSmart’s Svenska Sideboard with 2 Doors, by Francodim, features vintage styling, with tapered solid wood legs, rectangular cabinetry and two-tone color. 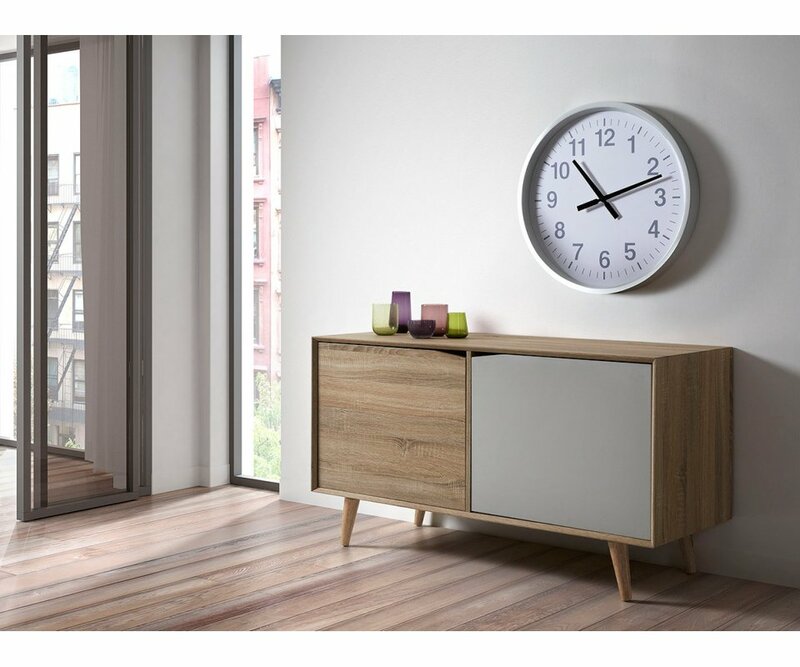 The cabinet is finished in natural Light Oak woodgrain veneer with a matching cabinet door and one solid Gray lacquer door, providing a wood and stone effect that blends with most home decor styles, and with most colors and patterns. Each cabinet has a cutout handle for easy access to the interior, where wide shelves are just right to store your dishes, glassware and serving pieces. 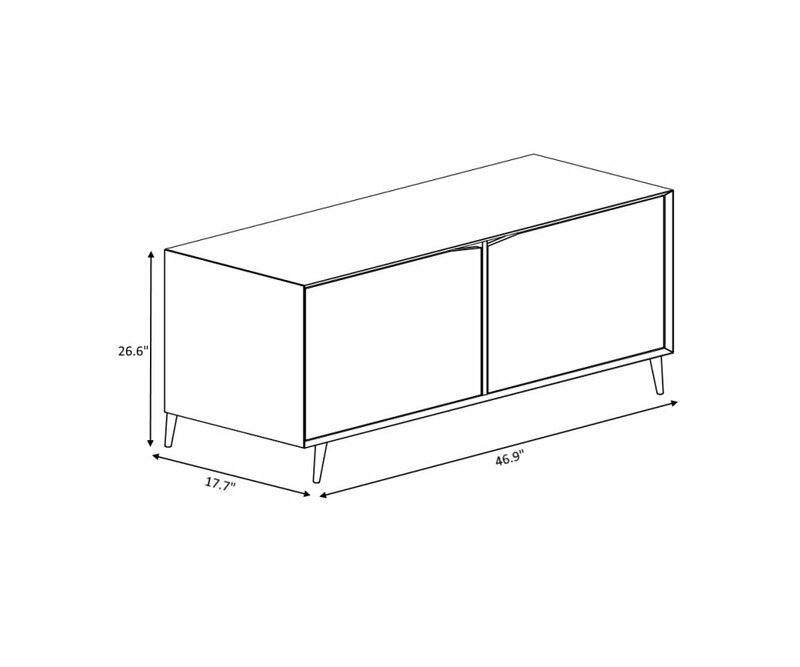 The sideboard top is approximately 2’ x 4’ in area, perfect for creating a place to serve a buffet for entertaining guests, or for setting up a cocktail bar with hors d’oeuvres. When not entertaining, special collectibles or serving pieces can be displayed to highlight your dining area. 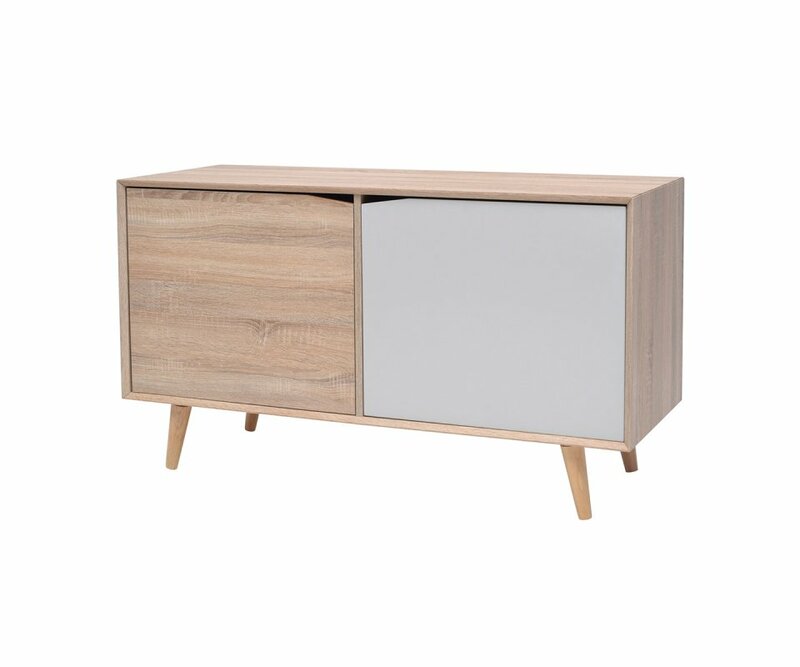 Add contemporary style with an eclectic vintage twist with the Svenska Sideboard!